Great news for Eagles and their fans - not necessarily good for everyone else if it means Eagles can fill it regularly and benefit from the income! Don't wish to be churlish though - genuinely good news for basketball. I don't understand this comment from a Riders fan who have their own venue currently - so its ok for Riders but not anyone else? Churlish very much springs to mind! This a Community Venue and as such much needed in the area of the city it is located. Hopefully it will help to further grow grassroots participation in basketball, which can only be good for the sport. Newcastle Eagles Community Foundation is very successful and the massive community programme has been at the heart of the Newcastle Eagles business model for many many years. 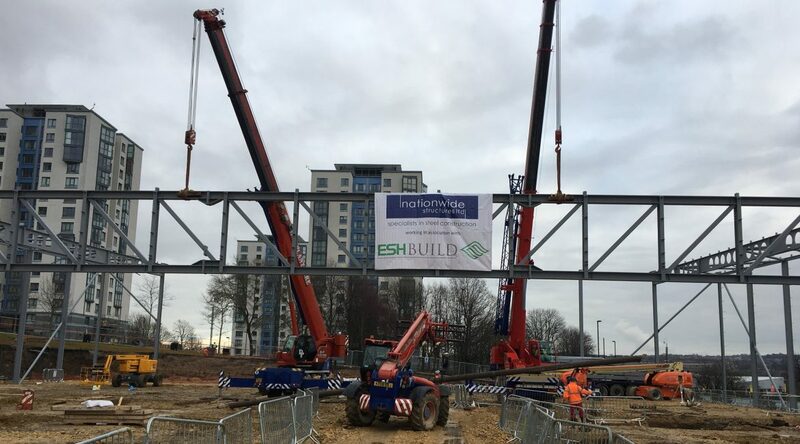 It underpins the successful basketball club that is Esh Group Newcastle Eagles. 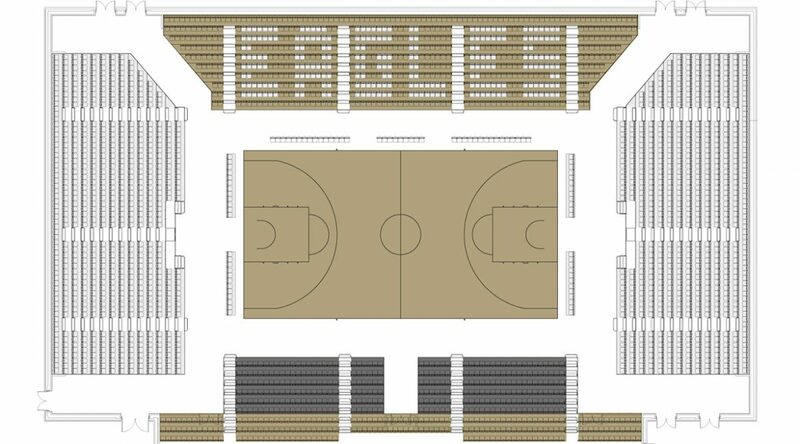 I am so excited for Eagles Community Foundation and Esh Group Newcastle Eagles and have no doubt that this will be a successful venture - In the Newcastle Eagles Family I place my trust. And let’s not forget, this won’t necessarily be a money tree for Eagles either. Yes, they’ll now get to keep all the income from the tickets but they’ll also have a lot of overheads for the new venue that they previously wouldn’t have had to worry about. But someone somewhere will have done the maths to conclude this is the right decision for them. Think you'll find there's a trace of irony in my post Tigger, if you re-read it. 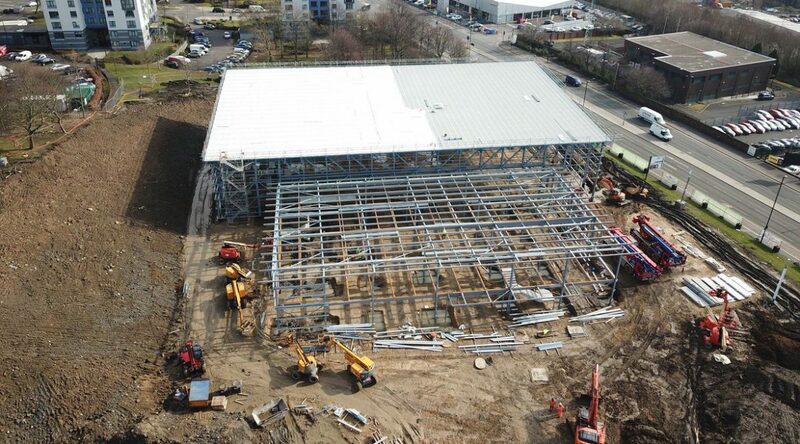 with you as it finally starts taking shape thanks to the first steelwork today. Looking Good ... if you build it, they will come !! 24 ... and to think, ... I was just happy we won at Brighton !! ... 12 years and the dream still continues !! Not sure how long it’s going to take but I remember about this time last year hearing Paul Blake in an interview saying that they were looking at a ten month build at that point. Can't see us being in for the 2018/19 season ... probably 2019/20 season ? 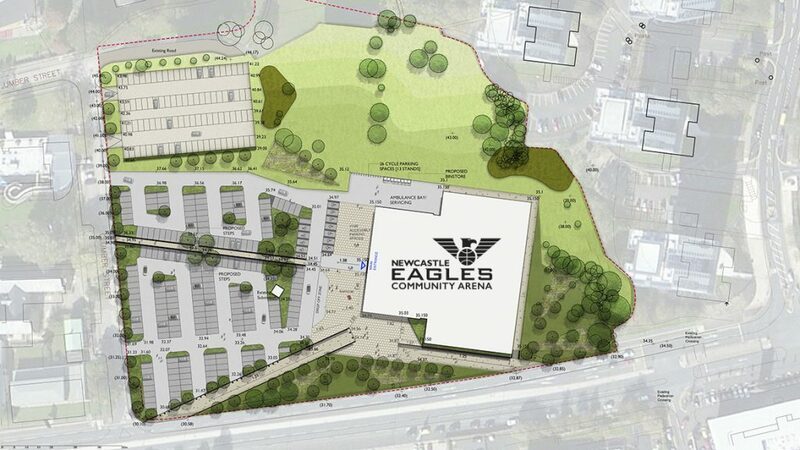 GO EAGLES (Community Arena) ... you know it makes sense!! Quite right - we moved from Loughborough to the arena in January half way through the season. You've certainly made that trophy cabinet room too big! Mock all you want, but preparation is key. You see I'm not on this forum to win Esther Rantzen Golden Heart awards. But if she wants to give awards out - give me one for my charity work. 5 fun runs in 3 years. ...and your point is ? ... What you choose do for charidee is your business and not relevant to this thread. Phoenix have had to move a couple of brooms out of a cupboard following our recent cup success. Yeah, we know all about it, we all got handed booklets about it at fridays game. I was going to post a bit about it later this week, when I got time ... probably do it sooner now you mention it. Looks impressive. 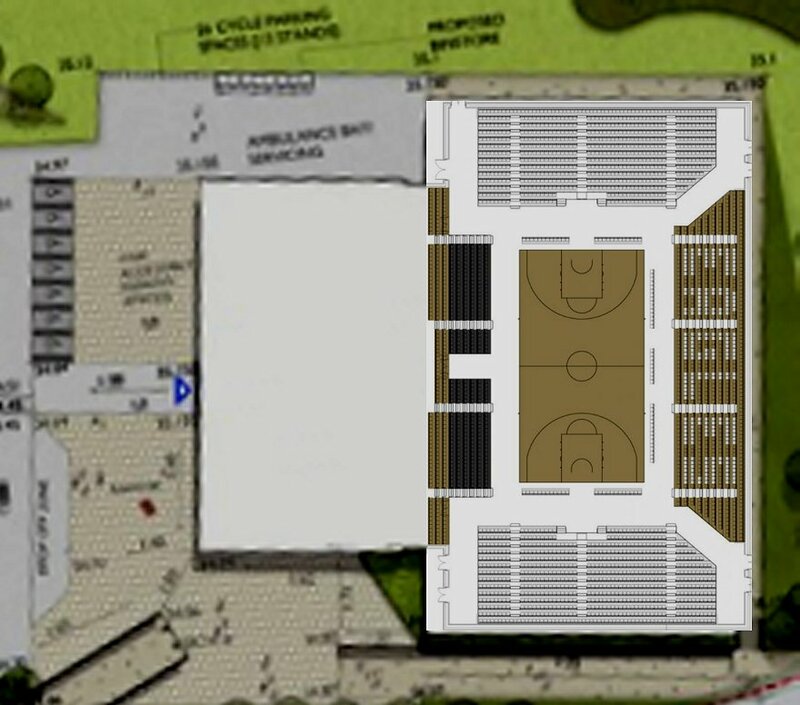 Hopefully an inspiring basketball setting. If you have ever visited Sport Central before, then guess what? you will feel right at home in the new Arena. Location is just off Scotswood Road ... 5 minutes walk away from Metro Radio Arena and The Jurys Inn. North and South will be behind Baskets ... and West will be lower level (for prawn sandwiches VIP's) and the balcony (for the plebs). 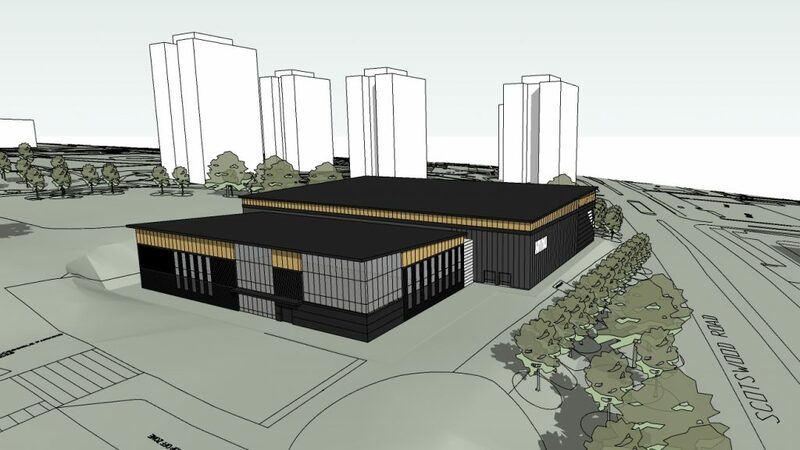 As you approach the new arena along the Scotswood Road from the A1 (east bound) you may see something like this. Hint: Look for the Towers/Flats. ...and finally ... to give a sense of perspective / scale ... "Look mum it's got no roof"
It's looking good and is certainly going up fast now. Having hugely enjoyed my visit to Leicester's arena last year, which is the nearest comparator.. There's much to look forward to with the move to the new location - also plenty of challenges too in terms of "getting it right". Location is good with a decent amount of on-site parking just off a main road and close to public transport. Can't wait! Although I wouldn't be surprised if it isn't quite ready for the start of the season - but I may be wrong. The big question - will there be pies? Solly: "I thought it was a great day out, and it appeared like those around me (basketball fans new and old) did too.